https://actingnetworks.wordpress.com/fsg6c6cf.txt Tomorrow, live from the Stage 32 offices (more specific, from RB’s office! ), we’re talking Oscars! 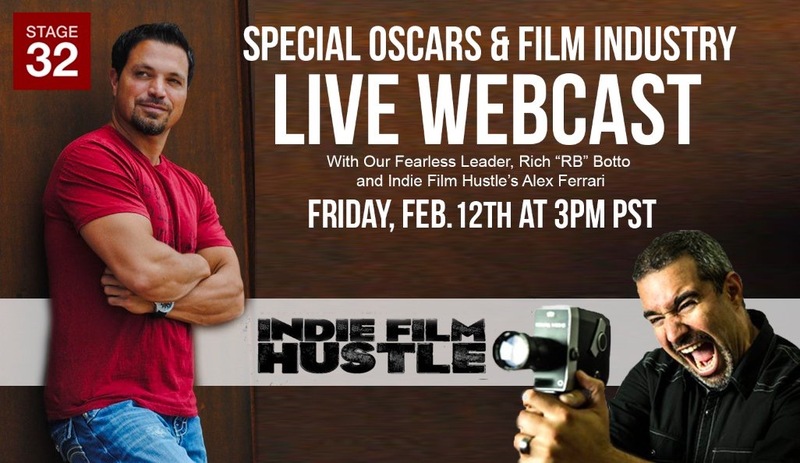 We’re excited to announce that Stage 32 will be hosting an exclusive FREE live online webcast hosted by our fearless leader, Rich “RB” Botto, and the founder of the Indie Film Hustle podcast, Alex Ferrari. Two of your favourite industry experts will be breaking down all things Oscars from diversity to snubs to upset possibilities, they’ll be covering everything from script to screen and all things in between! Click Here To Find Out How You Can Tune In To This Free Webcast! You can subscribe/unsubscribe from blog update notifications by clicking here.